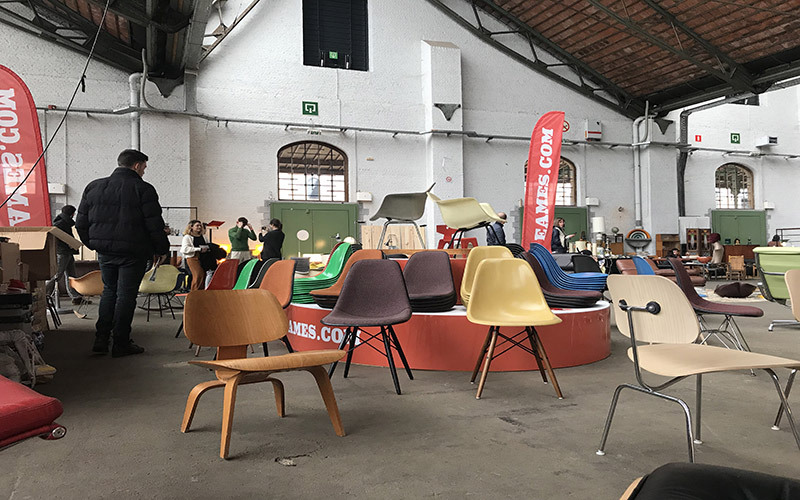 We recently got back from the Brussel’s Design Market and as we said in our last blog post, we were going to do a review-type post for you after! 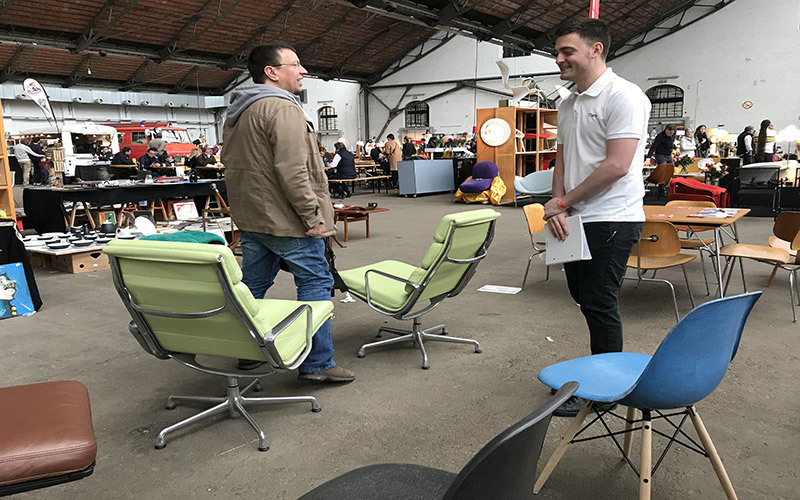 In addition to this, we took a number of pictures that will help us to break down the event. The purpose of the post-review is so you know what the atmosphere of the event was like and also how it all worked. This would then hopefully lead you to come to any upcoming events that we will be attending in the near future. 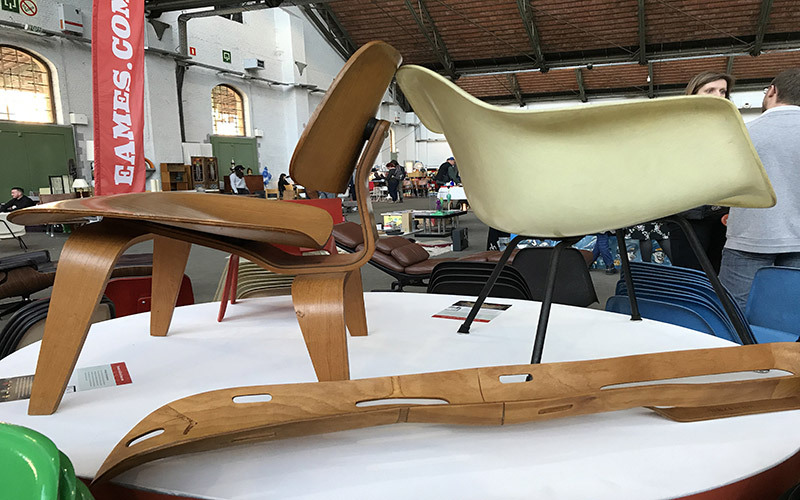 The Brussels Design Market is a vintage design market in Brussels, Belgium. 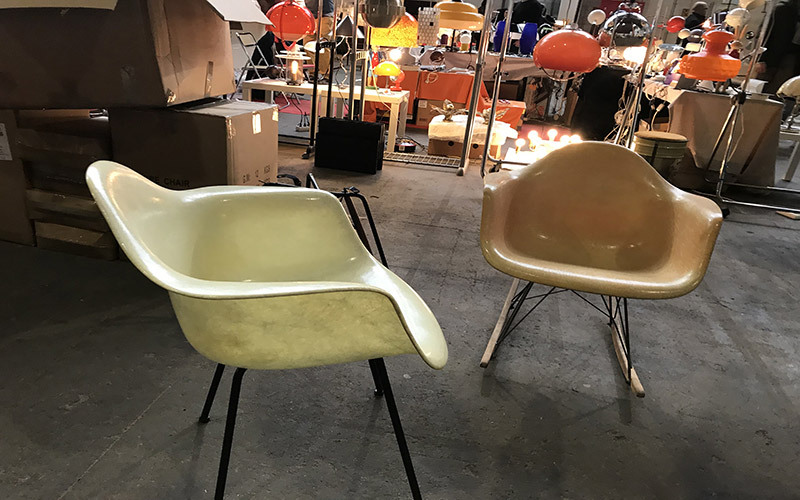 The event welcomes exhibitors with plenty of vintage items for the visitors to purchase. 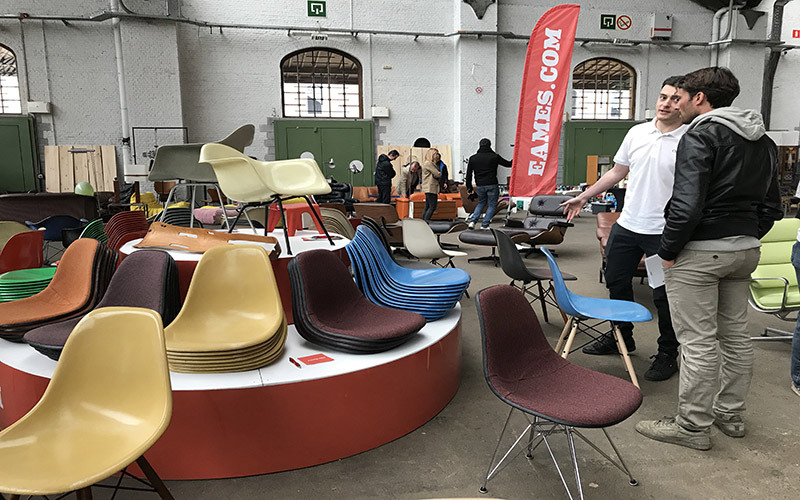 The event was founded 15 years ago which originally started as being a flea market, trading products from the 1950s to the early 1980s. 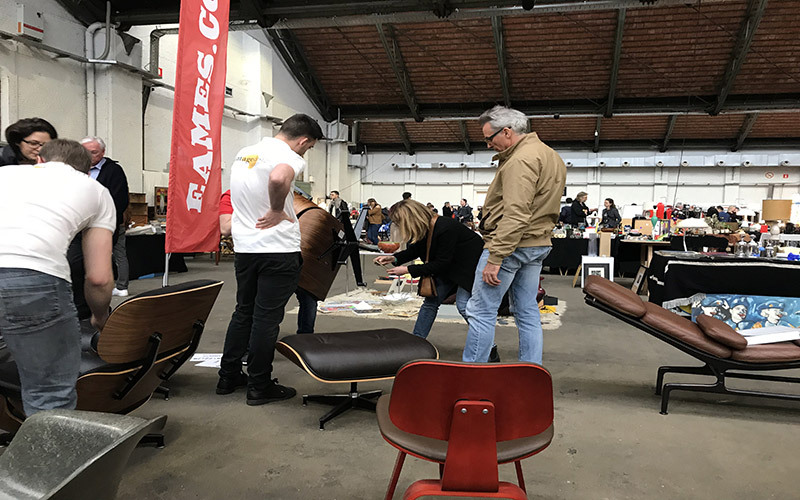 It's known to be the largest vintage design market in Europe, and it's located in the heart of Brussels, famously known as the Tour & Taxis building. 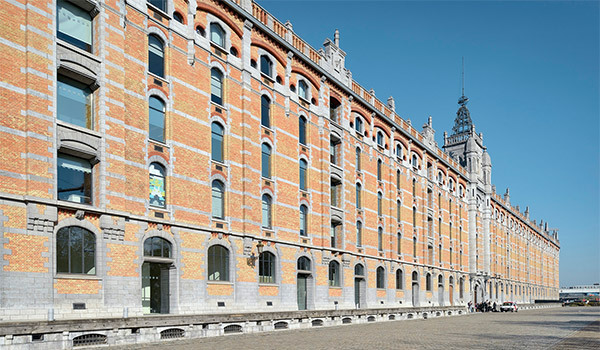 The complex hosts a number of cultural events, shows, and fairs. 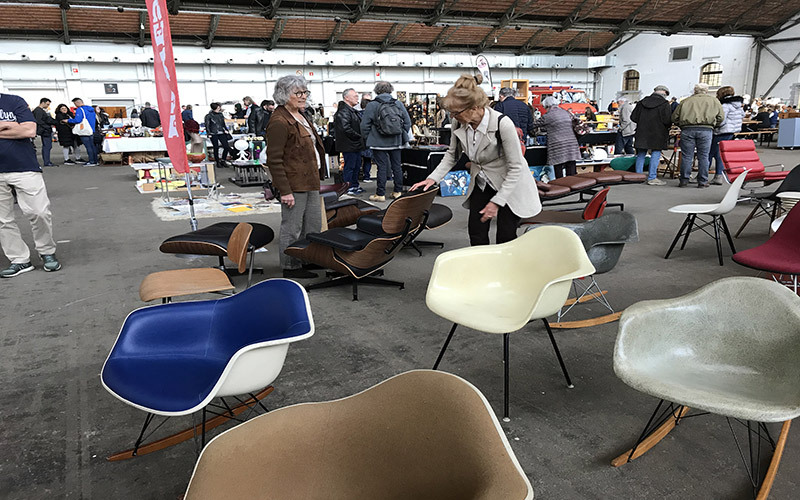 The show was open for the visitors from Saturday morning through till Sunday around 5PM. 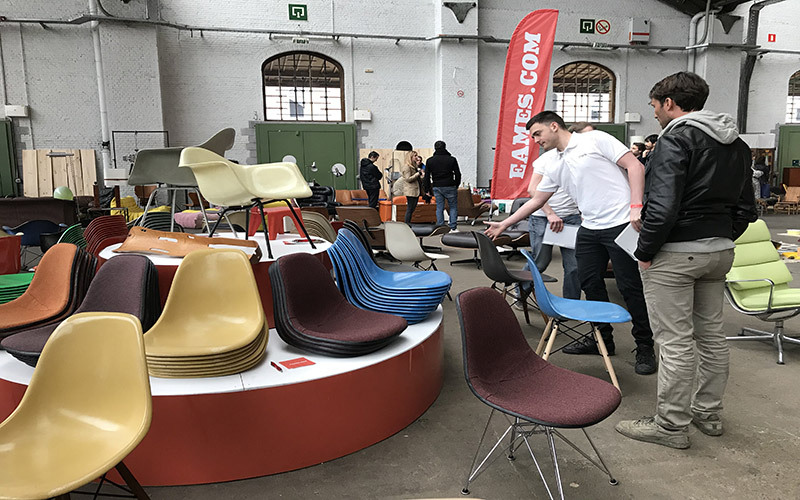 Thetrade-show was filled with many exhibitors from all over Europe, whom all came to showcase their vintage items to the visitors that came to the event. 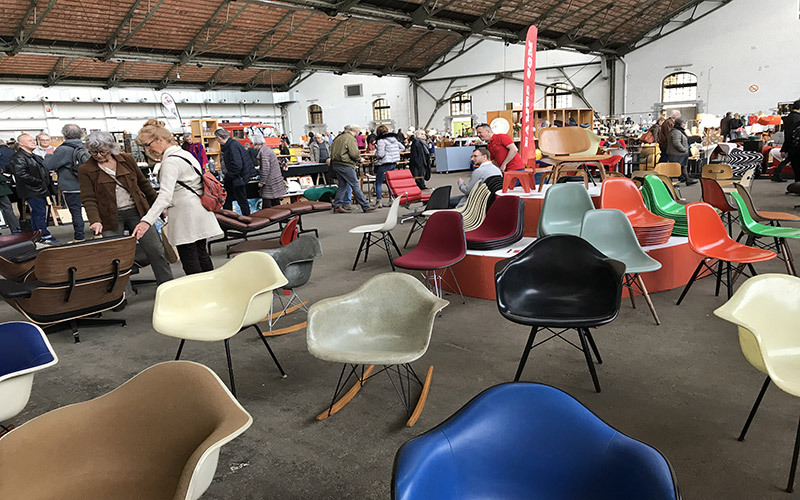 Regardless of the large building, people still walked through each stall and shop to take a look at what was to be offered. 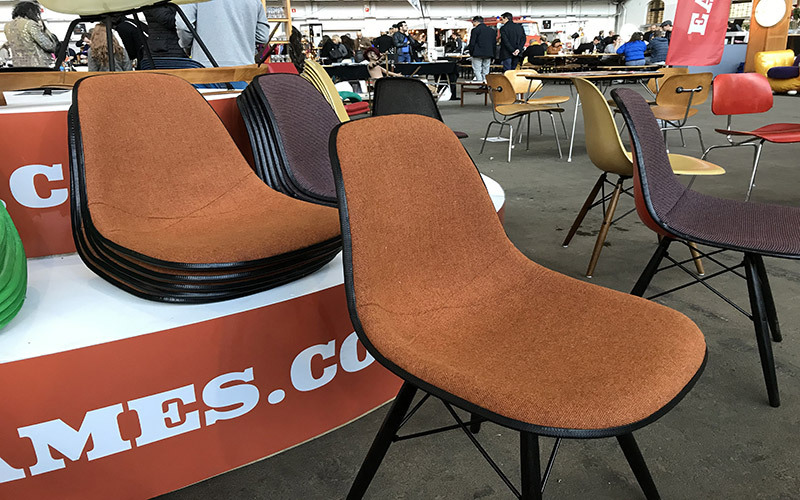 We went to the event in conjunction with one of the main sellers in the Eames.com marketplace, Vintage Design. 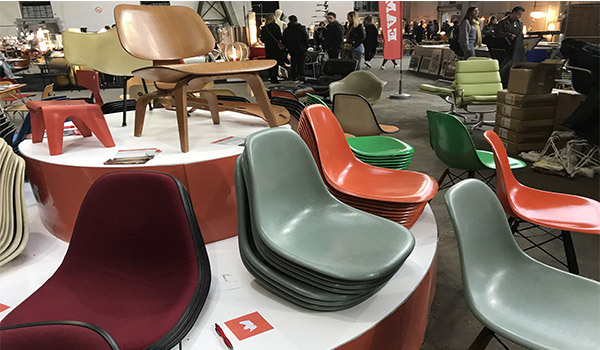 Our segment at the show had a number of different Herman Miller products as well as a couple of Vitra pieces. 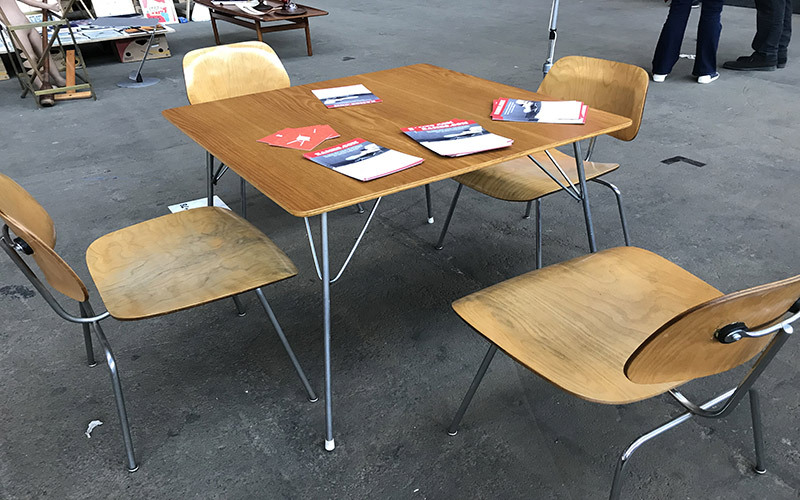 It was important for us to take a variety of pieces which you could try. 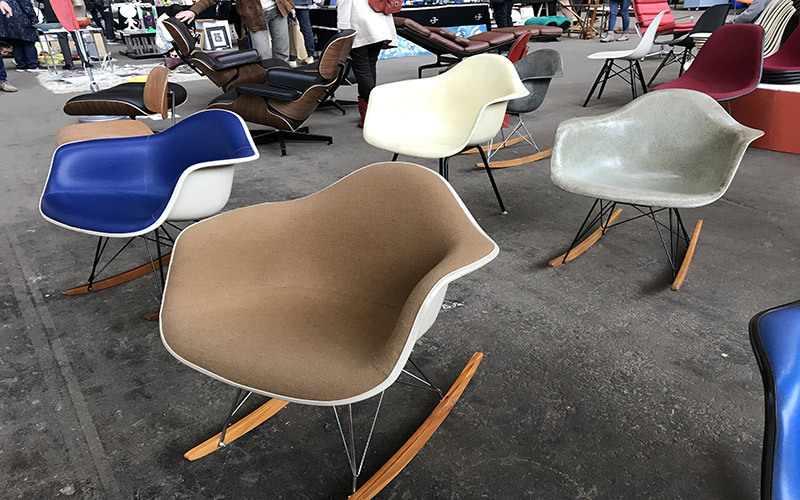 As good as some pieces look in pictures and in real life, they are as comfortable as they look. 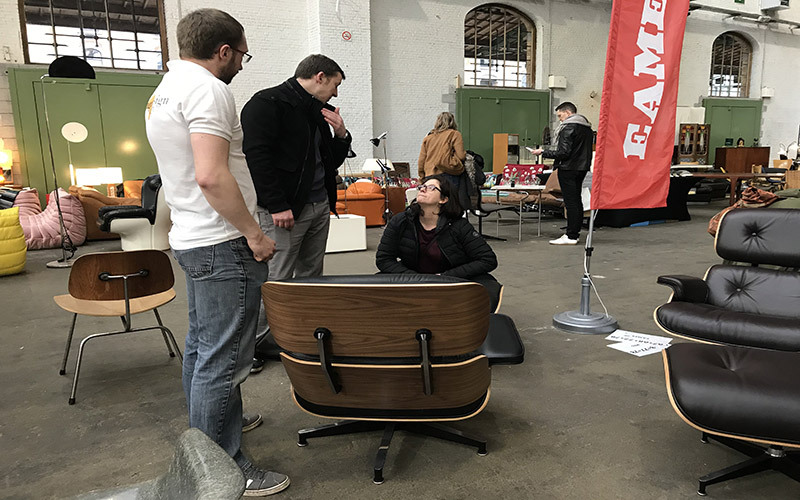 As a result, we took some items with us that were popular and also some that were rarer than others. 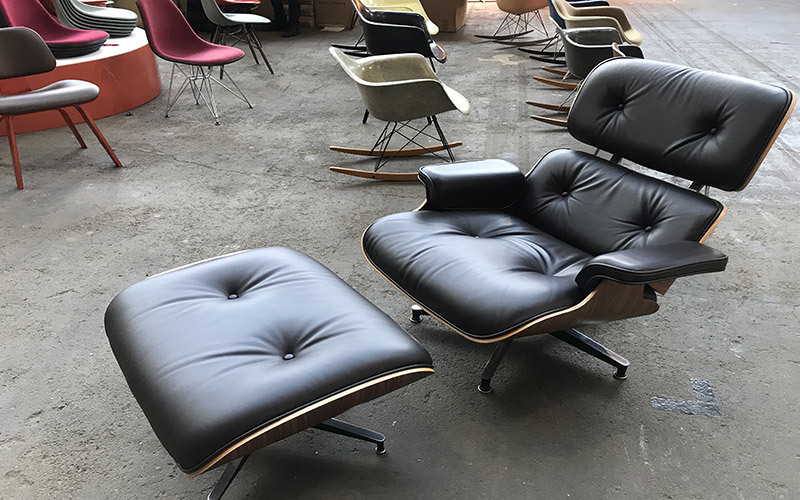 One of the items that turned a lot of heads was the Herman Miller Eames Lounge Chairs and Ottoman. 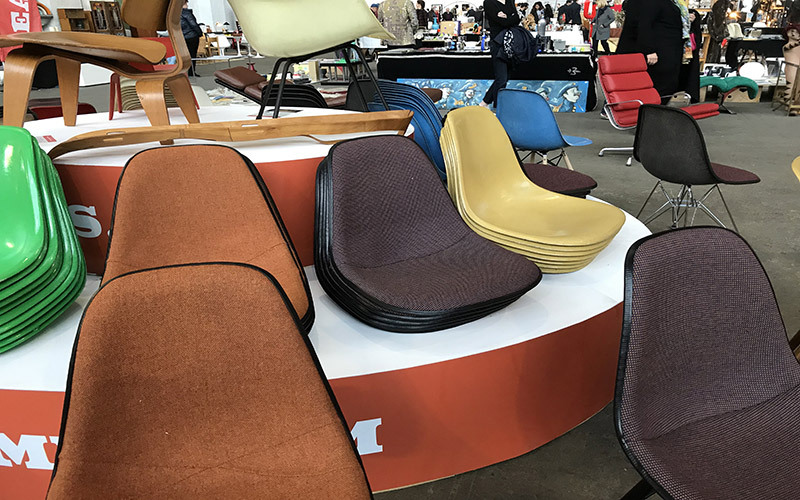 The ‘Coffee brown’ Herman Miller Lounge Chair was an item that was at the show. An interesting topic of conversation that took place about this piece with the visitors was; whether the item occasionally looked slightly purple from some angles. 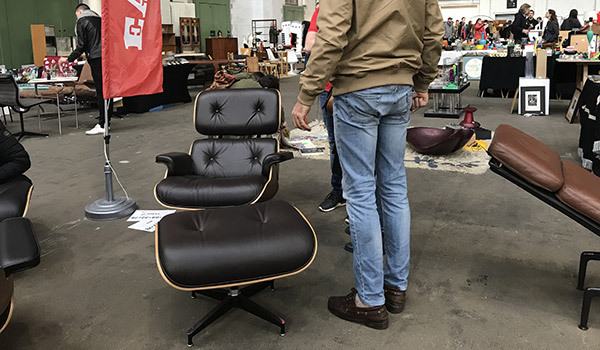 Some even described it as an Aubergine purple which was intriguing. 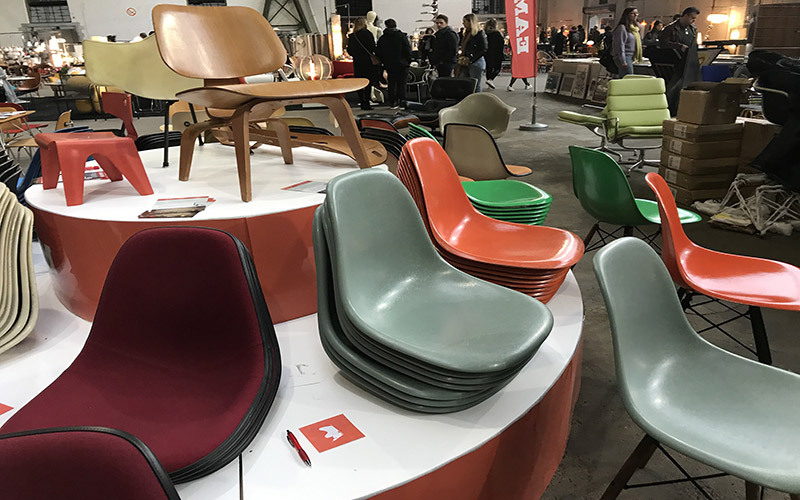 If you were at the show, and you saw the piece, DM us and let us know the color you thought it was when you looked at it! 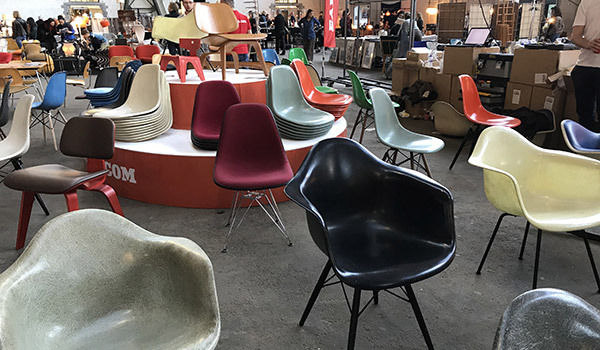 At the show, we had our center stage where a number of different Shells in various colors were placed. 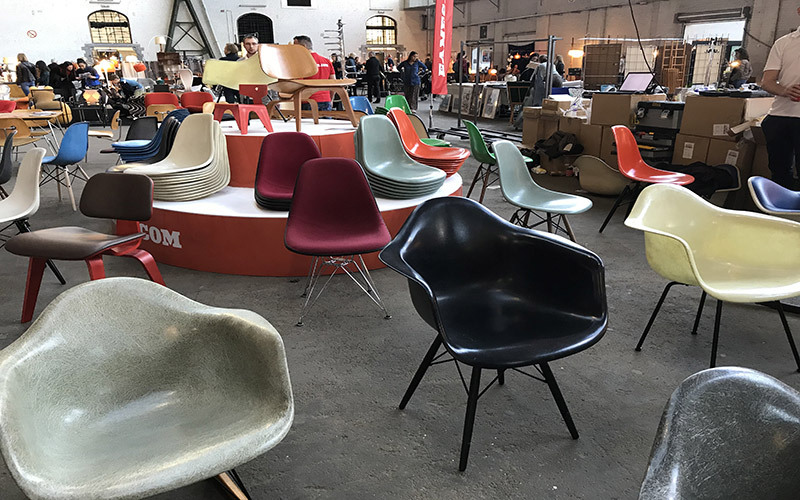 Majority of the Fiberglass Shells were Herman Miller originals but a couple of the shells at the show were from the New Vitra edition. It was fascinating to understand the preferences that each individual had of each shell and why. 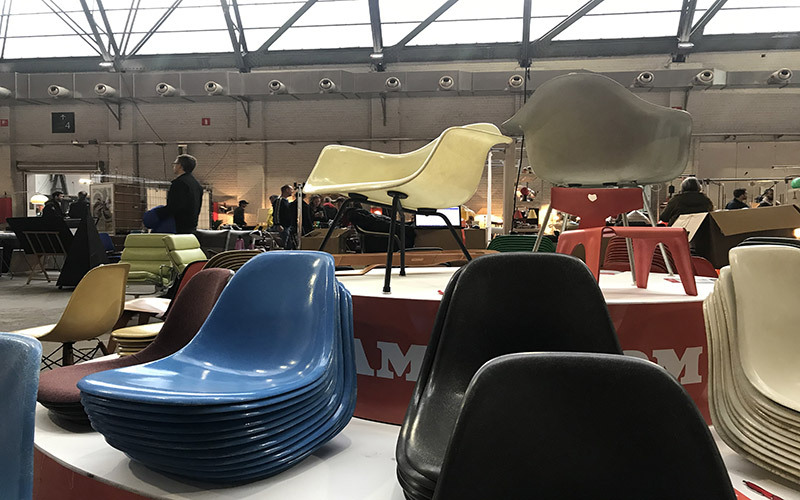 Overall, we had a great time at the Brussels Design Market 2019, and we enjoyed meeting a number of you. But it doesn’t stop there! 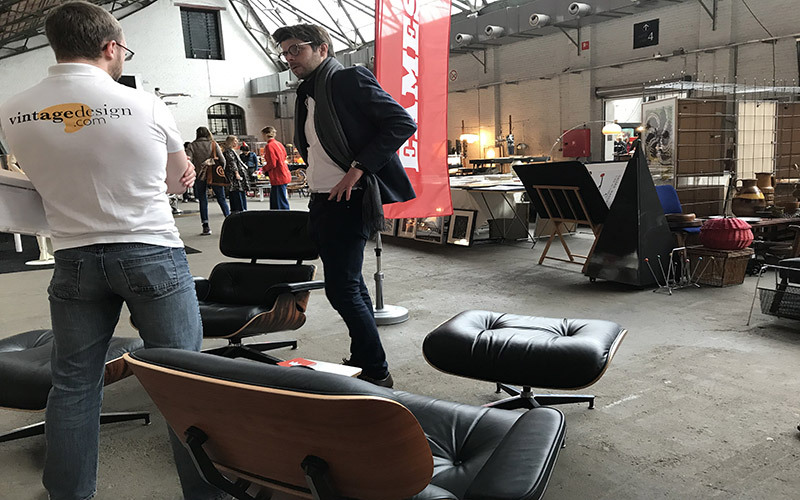 We will also be at an event in Amsterdam in conjunction with one of our sellers which we will be releasing a blog post about next week, so stay tuned for that! 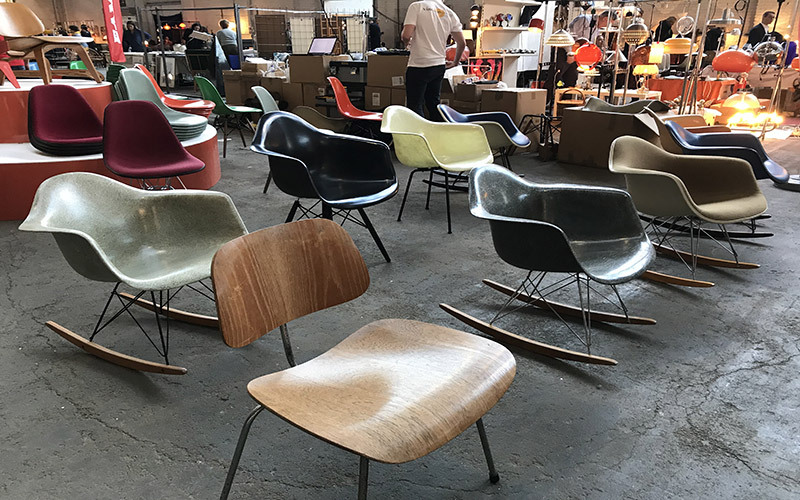 We hope you enjoyed this week’s blog post. 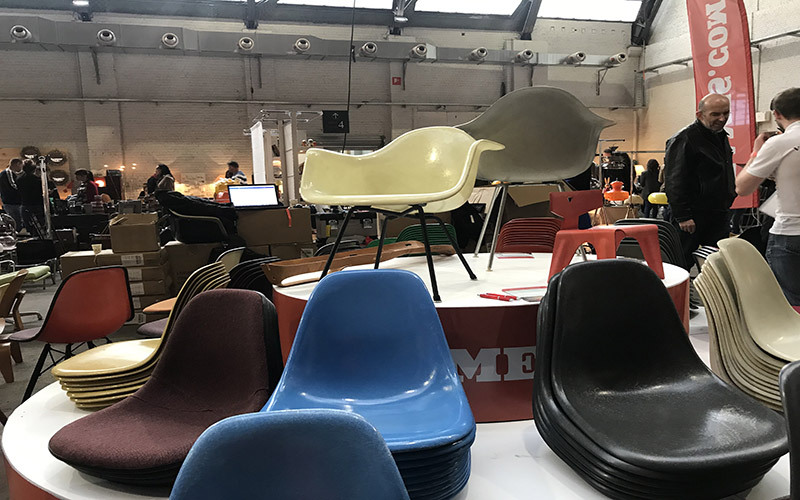 Here are some pictures of our time at the Brussels Design Market.